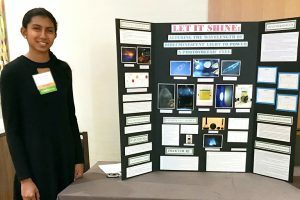 Two amazing students were among the exhibitors at the Colorado Rural Electric Association Energy Innovations Summit Monday, October 29 in downtown Denver. They were the winners of the Colorado Touchstone Energy Cooperatives award at the 2018 Colorado Science & Engineering Fair at Colorado State University in Fort Collins last April. 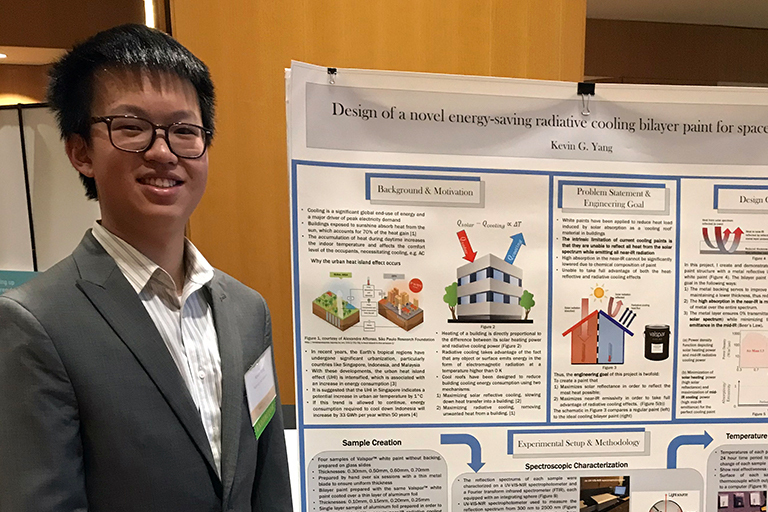 Kevin Yang explained his design of an energy-saving radiative cooling bilayer paint that could be used to keep buildings cooler. Kevin was a 10th grader at Fairview High School in Boulder when his project won the co-op award. 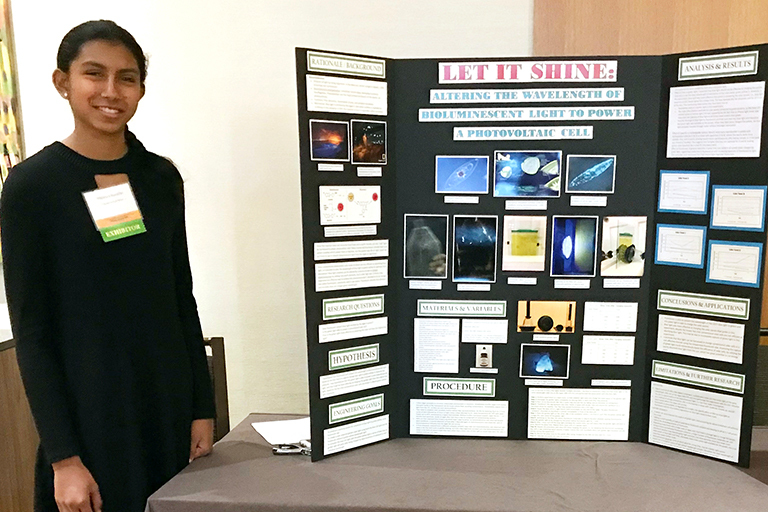 Nikhila Narayana explained how altering the wavelength of bio-luminescent light could power a photovoltaic cell. Nikhila was an 8th grader at Rocky Heights Middle School in Highlands Ranch when she won the co-op energy award. Both students talked with summit attendees and attended sessions during the day.